Successfully saved Rosemary Chicken, Caramelized Corn, and Peach Salad with Hot Bacon Vinaigrette to your Calendar. You can also save the ingredients to your Grocery List. The ultimate dinner salad that's anything but boring. 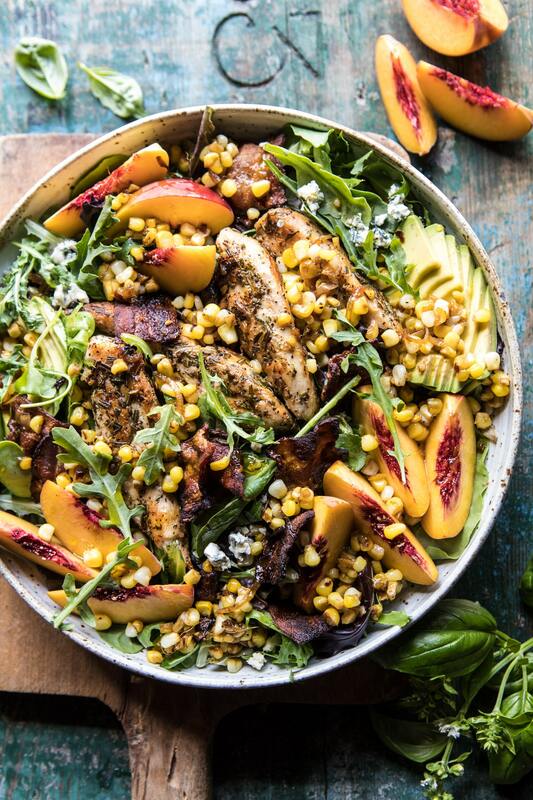 Loaded with rosemary seasoned chicken, sweet summer corn, peaches, greens, and avocado, and tossed with a tangy extra virgin olive oil bacon vinaigrette. This is quickly going to become your new favorite salad!